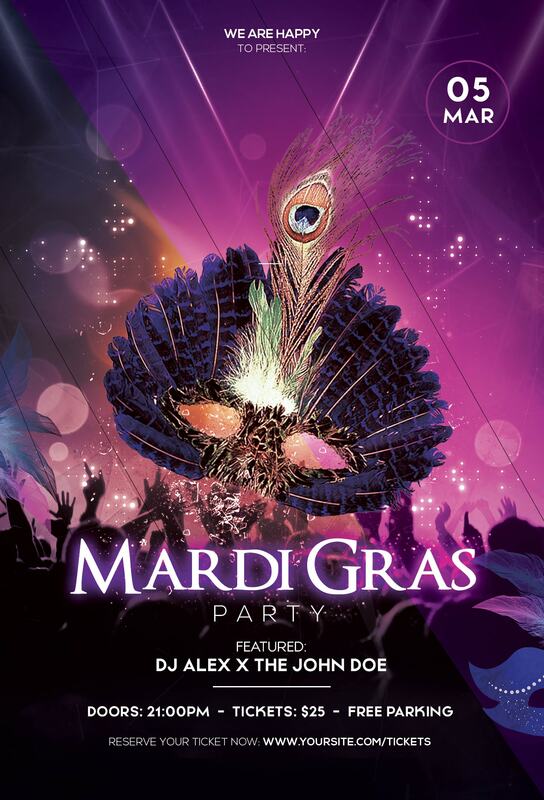 Download Mardi Gras Flyer Template in PSD format. This awesome 2019 Free Flyer is fully editable. It is suitable for any Mardi Gras, Masquerade Carnival & Other events. If you will have any event or party, use this unique flyer template to present your Mardi Grass event in a better design. This PSD Flyer is suitable for any club event, music party or other dj promotion.